St Luke's Blog: A Majestic win! 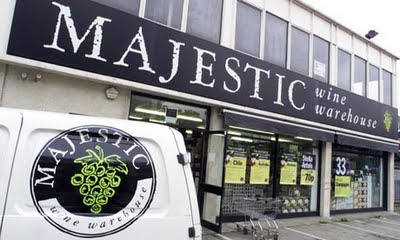 We're very excited to welcome Majestic Wine Warehouse to the St Luke's family. They're a great brand with big ambitions and we can't wait to get started. It means that our fridges, currently bursting with Bulmers and Strongbow, will have to give up some room for a selection of Majestic's best. On second thoughts, maybe we just get a bigger fridge.